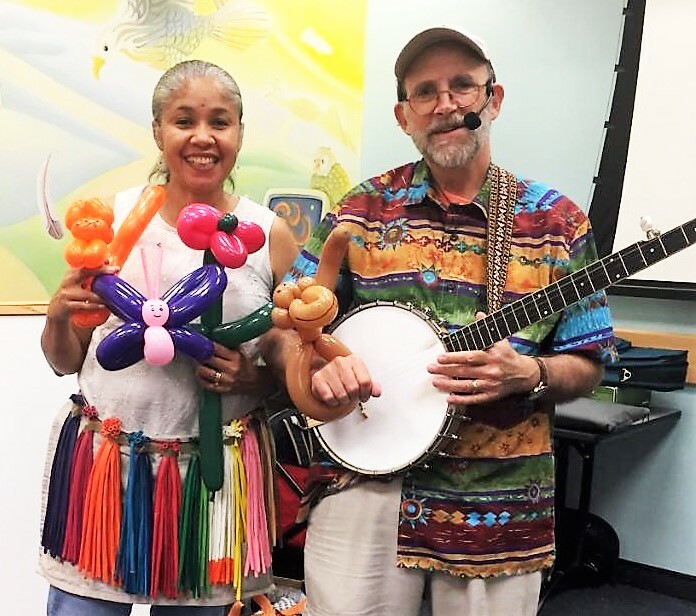 For over forty years Jon Sundell has been sharing folk songs, tales and dances with children and families across the United States and several foreign countries – in Spanish as well as English. Through those experiences he has learned to engage and entertain any group of children or adults. Accompanying himself on guitar, banjo, autoharp, mountain dulcimer, ukulele and spoons, Jon weaves together folk songs with multicultural folk tales of all kinds – from tall tales, myths and legends to animal tales and fairy tales. By presenting such variety in a warm and lively manner, he can easily gain and hold the attention of his audience. However, he often draws on other tools as well: Sometimes he uses a puppet to help tell a story or converse with the audience. Or he creates a balloon figure as he tells, then uses it as a storytelling prop. This is especially nice with smaller groups because he can follow up his performance by making personal balloons for the audience members. There are many opportunities for audience participation – through singing, movement, playing rhythm instruments, and responding verbally in different ways. But the greatest tools in Jon’s toolbox are his warm personality and lively, visceral style. He takes his audience on an adventure -through moments that are alternately funny, scary, exciting and thoughtful - building a spirit of community as he goes! 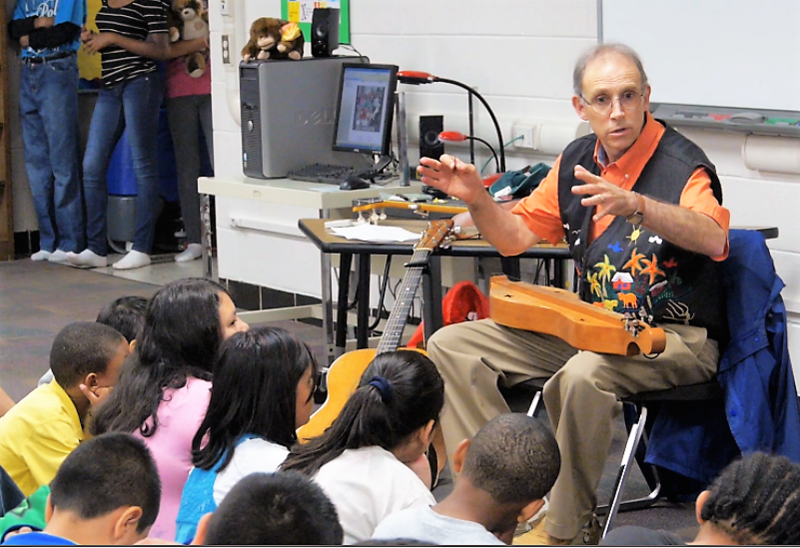 "Jon Sundell 'plays' an audience of children as well as he plays any of the instruments he brings to a concert. 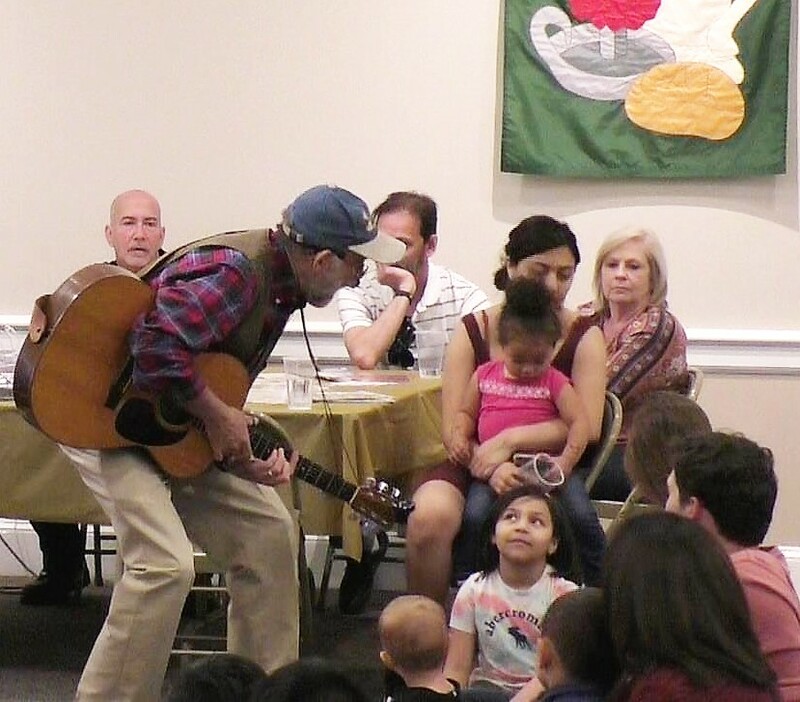 The pace is lively as he moves from song to instrumental to tall tale to sing-along, and the atmosphere is one of warmth and good humor where every child feels a part of the happening." – Lynne Crocker, journalist, Arts Council of Wyndham County, VT. 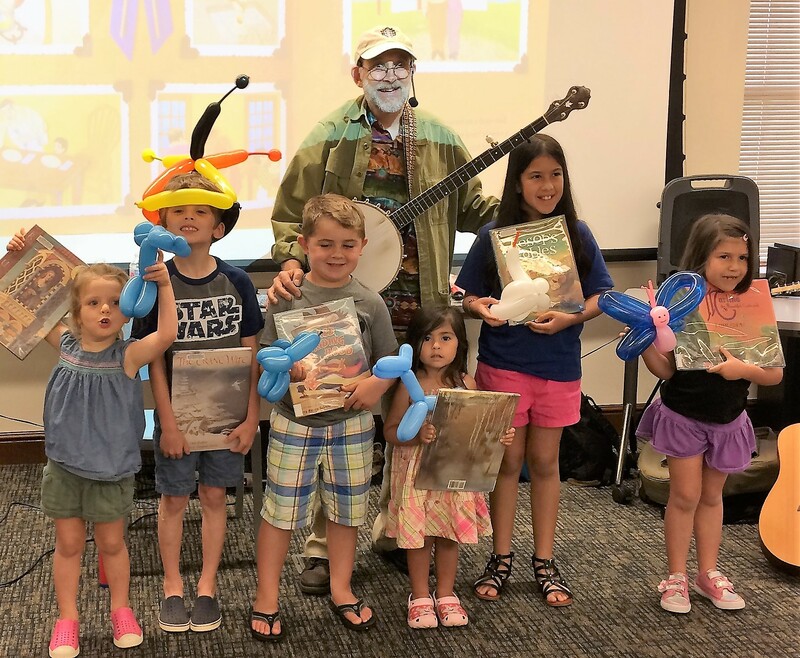 In addition to his many years as a performer, Jon’s connection with kids is enhanced by thirty years of working as a children’s librarian in schools and public libraries. Over that time he was able to get to know and understand children well. Even when his focus is purely entertainment, he is able to go beyond the superficial and strike a deeper chord. And children and adults of various backgrounds feel affirmed as they see themselves reflected in his multicultural repertoire and spirit. "I felt your performances here were first rate. I received unanimously positive feedback from the kids and teachers. We were all impressed with your rapport with the kids of different grade levels, with your flexibility, your story-telling ability and your efforts to make the music and the culture come alive." 11 minute sampler of stories & songs, all appropriate for children & families & many suitable for adults as well. 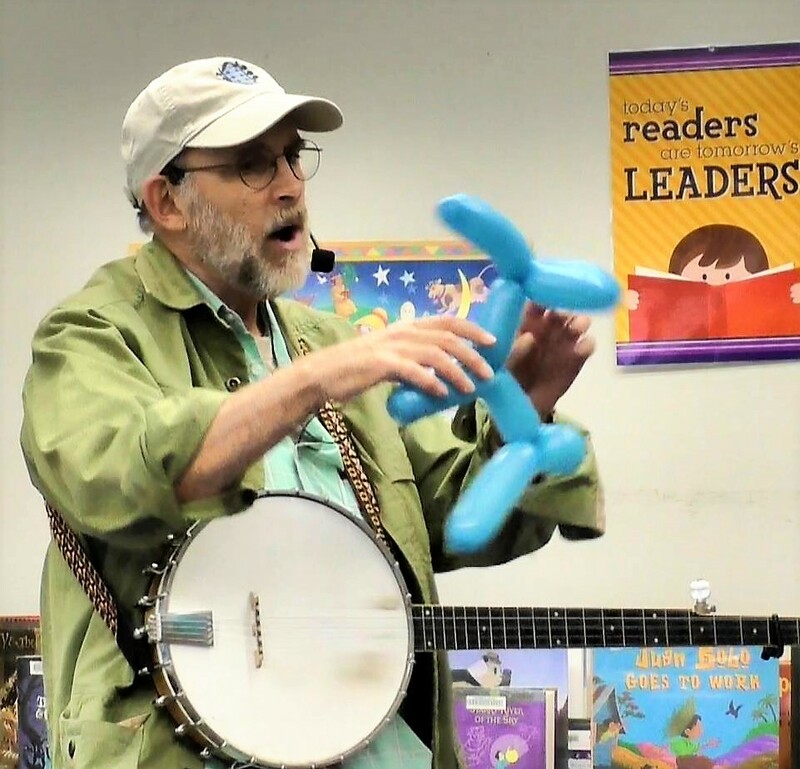 01 - Introductory slides to Jon's studio recording of "My Daddy Rides That Ship In the Sky," by Woody Guthrie - with banjo; 00:35 - Making balloon dog, singing,"I Had a Dog and His Name Was Blue;" tall tale of "The Split Dog" using balloon dog; 3:18 - call & response song - "We're All A Family Under One Sky," by Ruth Pelham - with guitar; 4:02 - African trickster tale - "Anansi and the Hat Shaking Dance;" 6:35 - Story-song with banjo - "Cumberland Mountain Bear Chase;" 9:08 - Irish folk tale, "Jamie O' Rourke and the Big Potato," from book by Tomie de Paola; 9:52 - Latin American folk song with motions - "En la pulga de San Jose"
5. "We're All a Family Under One Sky" - folk song by Ruth Pelham with verses added by Jon Sundell from Bein' With You This Way, a picture book by W. Nikola-Lisa, accompanied on guitar; 6. "En la pulga de San Jose," - Latin American folk song in Spanish with motions, accompanied on guitar; 7. "Jamie O'Rourke and the Big Potato" - Irish folk tale taken from picture book by Tomie dePaola; slides of Irish potato famine; 8. "Paddie on the Railway" - Irish-American folk song, with fingerpicked banjo; 9. "When I First Came to this Land" - folk song by Oscar Brand with autoharp. 18 minute sampler of song & tale excerpts and one "twist-&-tell" story. There is overflap with general children's samplers in items 8, 9, 11 & 12. (1) Introductory slide show to studio recording of "My Daddy Rides That Ship in the Sky," by Woody Guthrie, with banjo; (2) "The Green Grass Grew All Around" - call & response song with motions, guitar; (3) "Cleano," by Woody Guthrie, with banjo; (4) "I'm Gonna Tell," by Rosalie Sorrels, with guitar; (5) "The Lion & the Mouse," Aesop's fable with finger puppet; (6) "Love Grows One By One," by Carol Johnson; (7) Story-song version of folktale, "Stone Soup," by Heather Forest, with audience input, guitar; (8) "We're All a Family Under One Sky," by Ruth Pelham, with guitar; (9) "I Wish I Was a Mole in the Ground," mountain folksong, with banjo - children making up new verse; (10) "Twist-&-tell" story, "Solomon, Sheba & the Bee," told while creating balloon flower; (11) "When I First Came to this Land," by Oscar Brand, with autoharp; (12) "En la pulga de San Jose" - Spanish language motion song of playing musical instruments, with guitar. If a group is not too large, Jon can add some personal balloon twisting for the kids at the end of the performance. As a lead-in, he includes some “twisting-and-telling” in the concert, creating balloon figures as he narrates some of the stories. Kids enjoy seeing the balloons being created as the story unfolds. They especially enjoy getting a personal balloon of their favorite character after the performance is done. Jon’s wife, Vivian, usually helps him with the balloon making. Irish folktale – Jamie O’Rourke and the Big Potato -When the laziest man in Ireland catches a leprechaun, the little fellow buys his freedom with a giant potato seed. "Jon Sundell is a sensational musician whose folk music is enhanced by wonderful stories from many cultures. Jon’s first visit to Keene was for one performance; his next visit will be for a three-day residency, since word of that one performance has spread. Jon is very professional and accommodating, a joy to work with." Singing games: In these traditional music games children dance very simple figures in a group while singing a matching folk song, such as “Old Dan Tucker,” “Oh Susannah,” or “Let’s Go Zudio.” Games for the youngest children are done without partners, while those for 8 and up often done with a partner. Best for 4-10 years. Ideally in 2-4 sessions. Storytelling Games – By experimenting with storytelling in the form of different games, participants can relax and enjoy this activity with less performance anxiety and more fun. Age 8 – adult. Sharing personal and family stories – Using common life events and challenges as prompts, and incorporating Jon’s suggestions to shape and dramatize their tales, participants share personal anecdotes in small groups. How to tell a story - Participants learn about using their voice, face and body to tell a story dramatically. After doing a few exercises, they read a short tale and practice telling it to 2-3 partners. 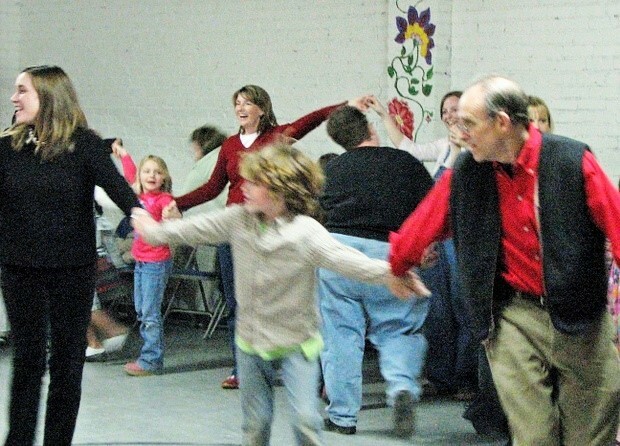 SQUARE DANCE: An activity that is particularly fun for families is square dancing. The combination of lively music, physical activity, and social interaction is great for lifting spirits and building a spirit of unity in your social group and in families. Dancers love the challenge of working together to perform different figures like the big basket, mountaineer loop or bridges. This is the ultimate collaborative sport! Children who are 8 years old or more can usually participate along with the adults on all the dances. 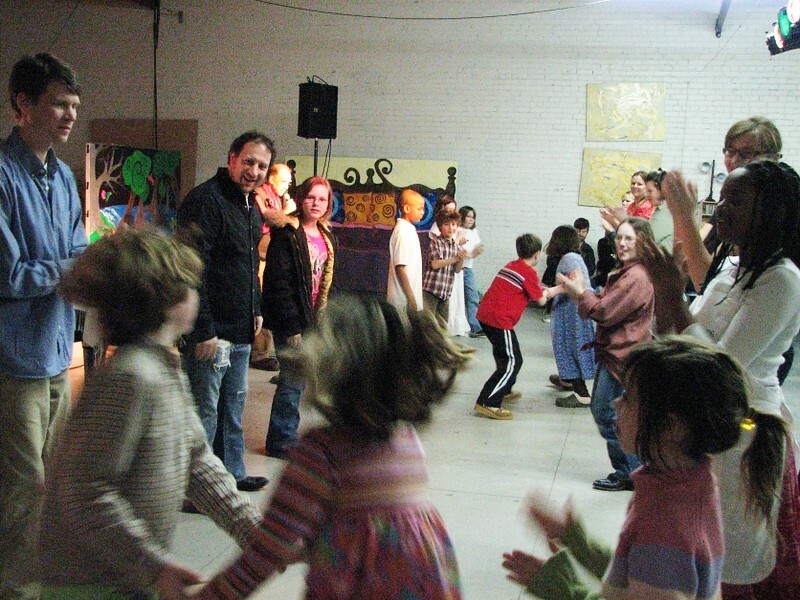 6-7 year olds can join in the easier dances and simple singing games, along with preschoolers. Often the youngest ones tag along with parents as a happy appendage, or they enjoy improvising to the music in their own group! Jon prefers to bring a string band, but he can also lead a dance using recorded music to save money. If you wish, Jon and the band members can fill one or more interludes with music and storytelling. This keeps things entertaining for any who are not dancing, and gives an old timey feeling to the event. A square dance can run anywhere from one to two hours, depending on what seems appropriate for your group and the occasion. Participants go home with a special skip in their step and a warm heart from having shared in this fun activity. – Angie Hobbs, Chairman, Family Ministries Committee, First Presbyterian Church, Winston-Salem, NC. 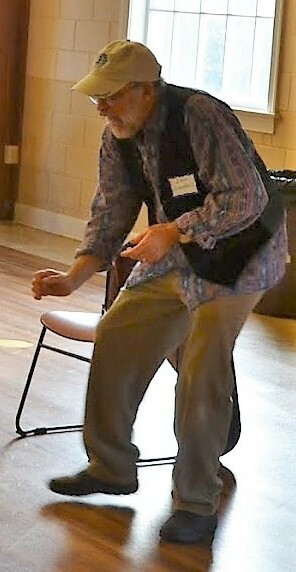 Excerpts from a seniors square dance at Camp Caraway, NC. 001- Introduction: Photos of family dance at elementary school; 021 - Band performing, "Goin' Down That Road Feelin' Bad;" 039 - Walk through and dancing star and arches figures in "Dip and Dive;" 1:45 - Dancing Appalachian Big Circle - Take a little peek & mountaineer loop figures; 2:30 - Jon weaving dancers through Big Circle finale; 2:50 Couple dancing freestyle to the "Tennessee Waltz." 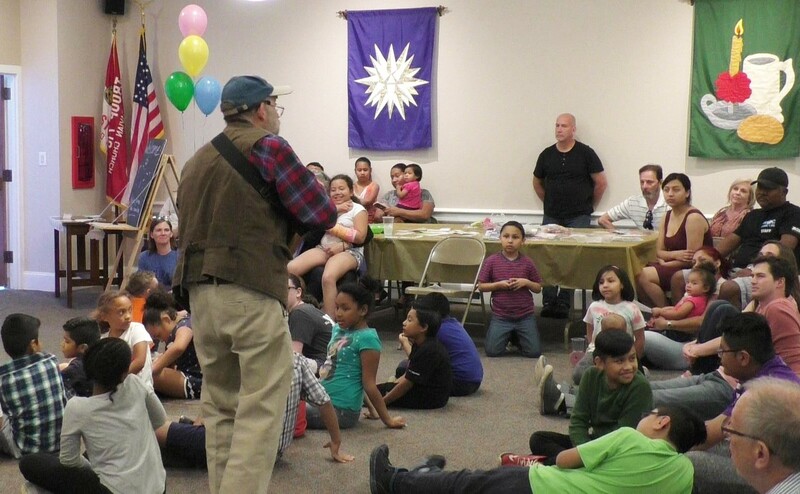 Jon has worked with Hispanic children and families for the last twenty years both inside libraries and out. 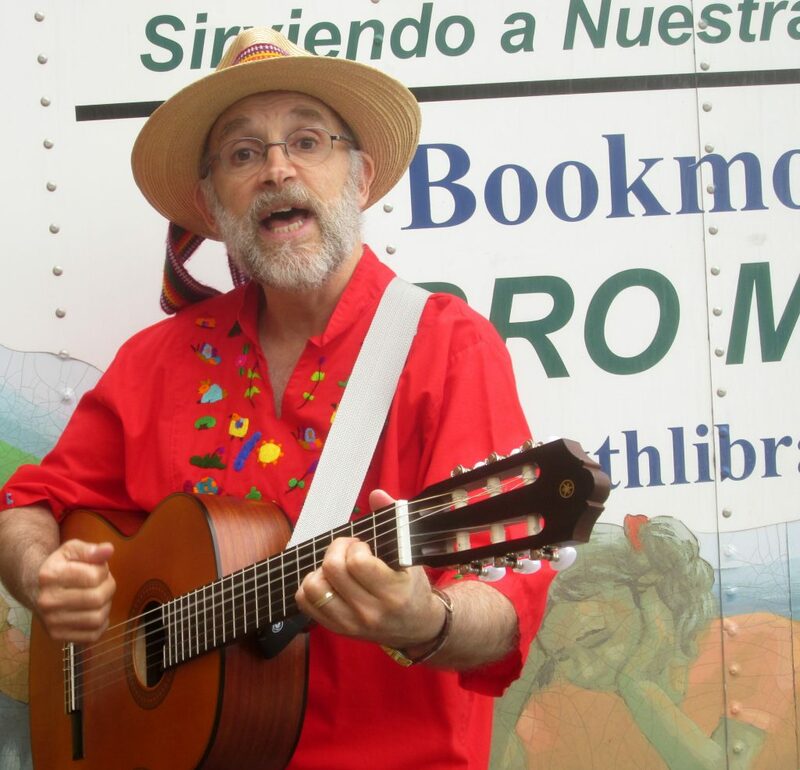 Over that time he has shared Spanish and bilingual stories, songs and singing games with children and families in churches, schools, festivals and other gatherings in the United States, as well as Nicaragua, El Salvador, and Colombia. 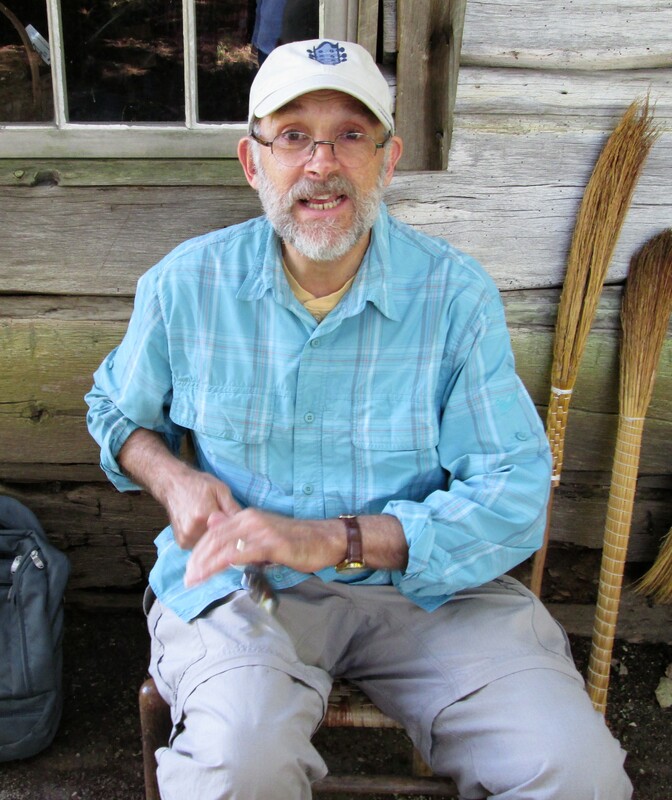 Jon directed the Forsyth County Public Library’s Hispanic Services Department for seven years, and he worked for ten years as a media coordinator in majority Hispanic public schools. 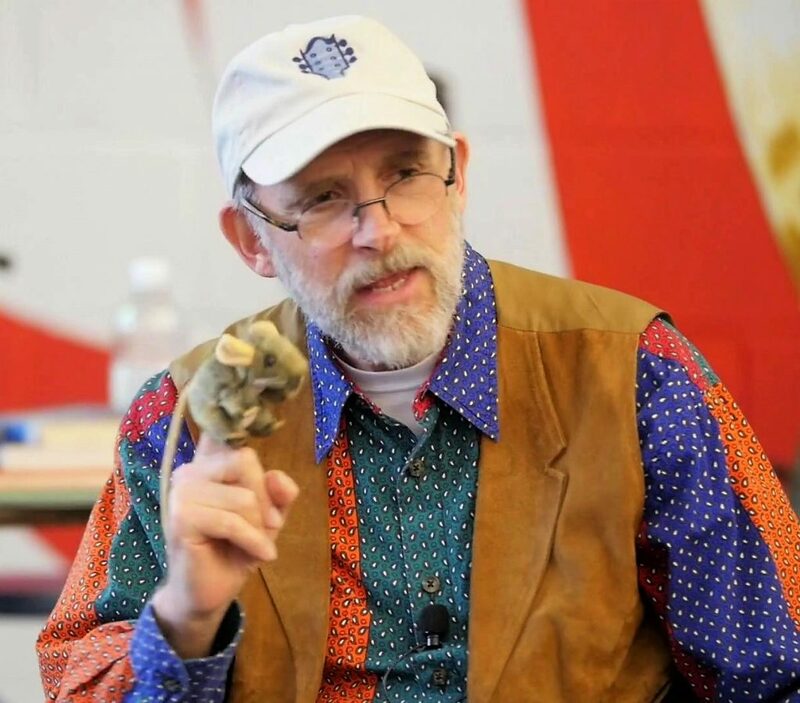 He has presented several workshops on bilingual programming for the American Library Association national conference, as well as state library conferences. 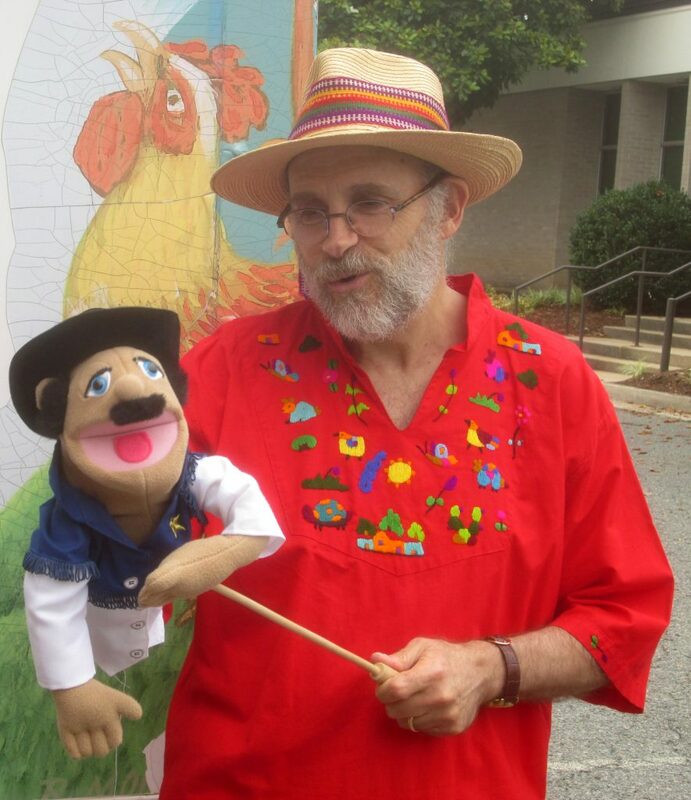 He founded the Hispanic Arts Initiative in the Piedmont Triad and led it for five years. 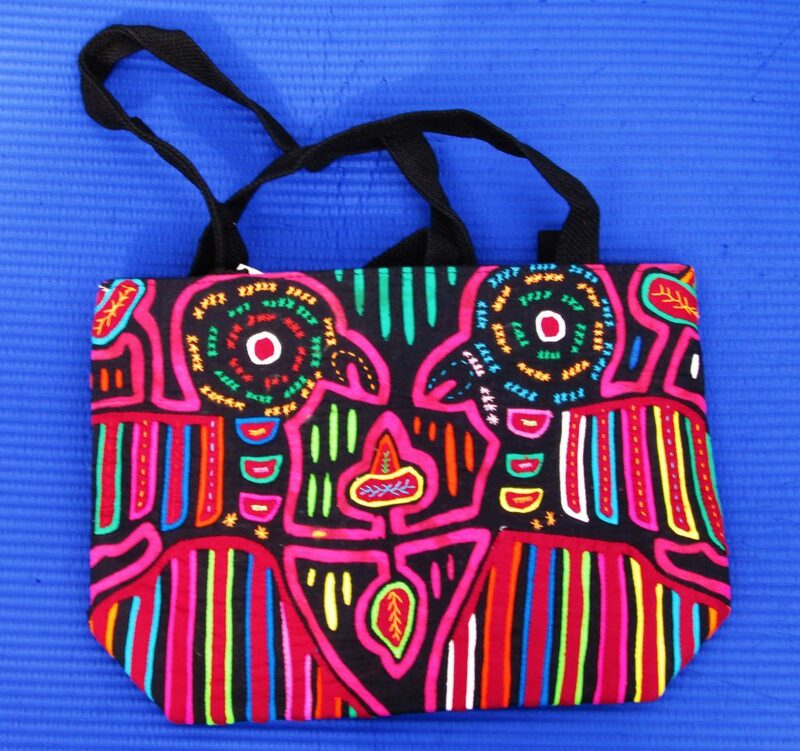 Jon's wife and daughter are from Colombia, South America, and he has traveled extensively through Latin America. 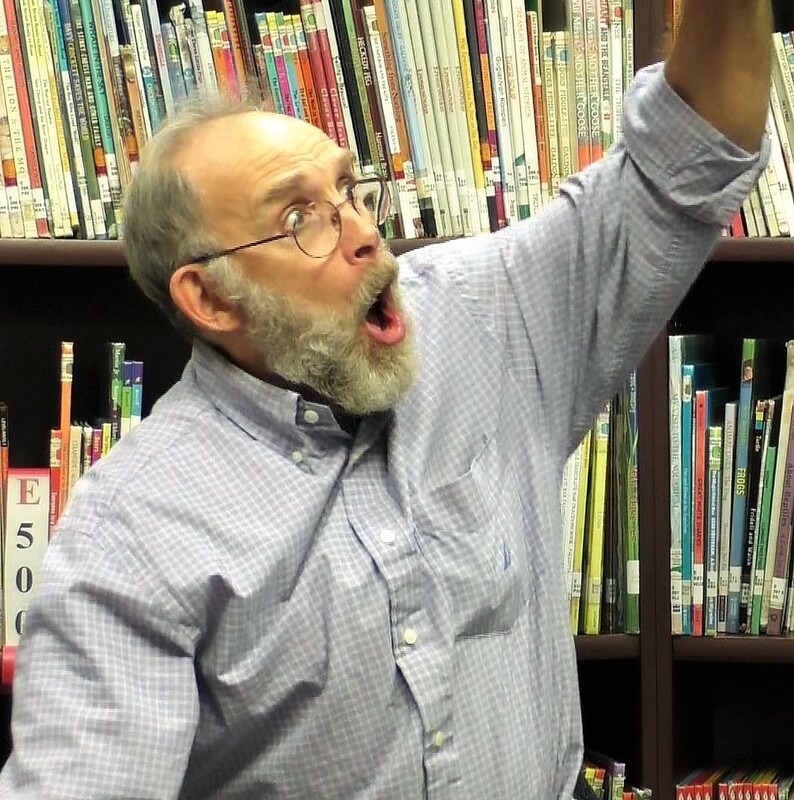 "Over the years Jon Sundell has presented bilingual library programs on several different occasions, and he is always adept at relating to and entertaining both Spanish and English speaking families. Children and adults from both cultures feel at ease and appreciated. Above and beyond all the fun, humor and excitement there is an overarching sense of something more: a spirit of cultural exchange and community. Jon has a gift and a passion for bringing people of different backgrounds together." 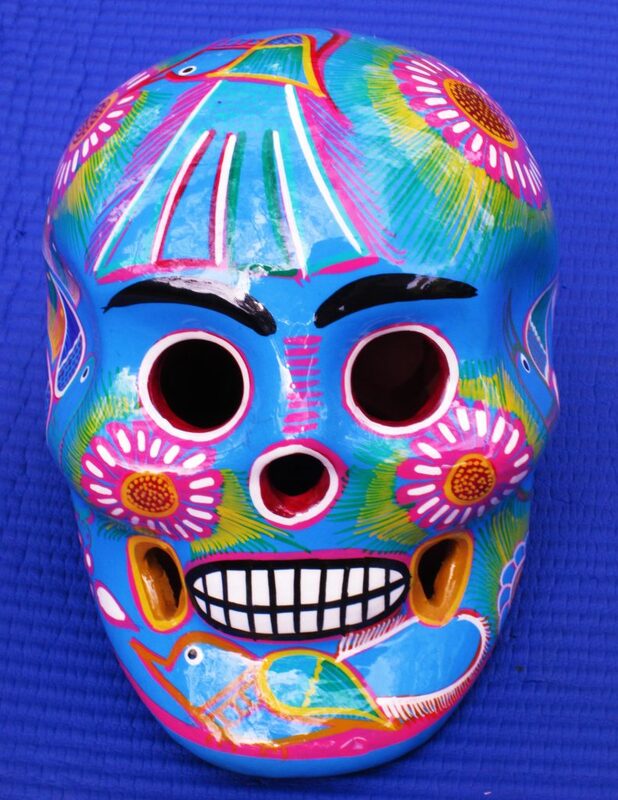 Bilingual Mexican tale – Tía Miseria –An old lady is plagued by rude boys who trample her garden, eat her prized pears and tease her mercilessly until she acquires the magic gift to make anyone stay up in her pear tree till she releases them. 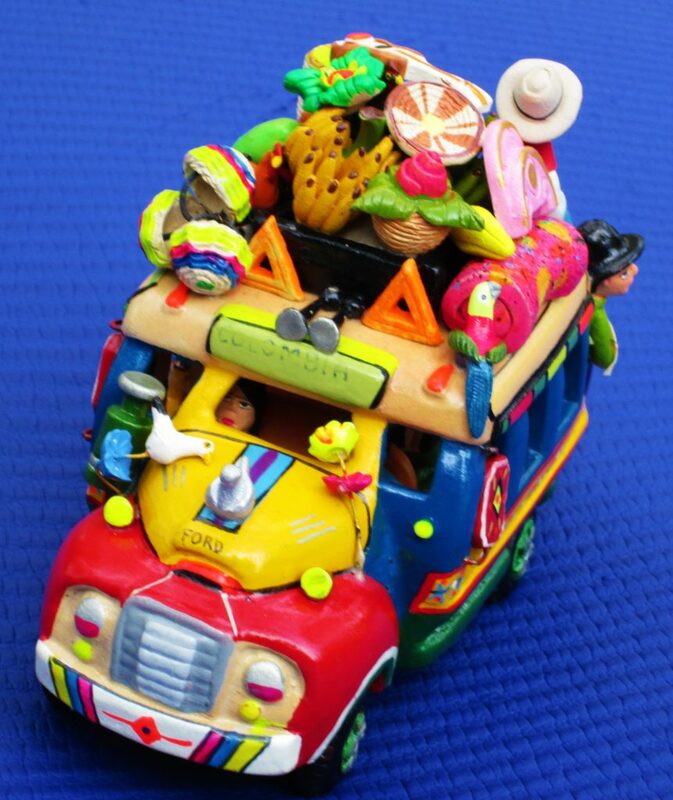 Spanish song: “En la pulga de San Jose.” A boy goes to the flea market and buys a guitar, clarinet, violin, cello, and drum. The audience sings and plays along on each of the imaginary instruments. Bilingual tale: “La mariposa” (told while making a balloon butterfly) After making and putting on her new dress, Butterfly is courted in turn by a pig, a dog, a cat, and finally Ratoncito Perez, who wins her heart. Bilingual tale: “The Bossy Rooster/ El Gallito Mandon.” In this cumulative folktale an elegantly dressed rooster with a muddy beak tries in vain to order water, fire, a stick and goat to collaborate in forcing grass to clean his beak, so that he can go to the wedding of his Uncle Parrot.